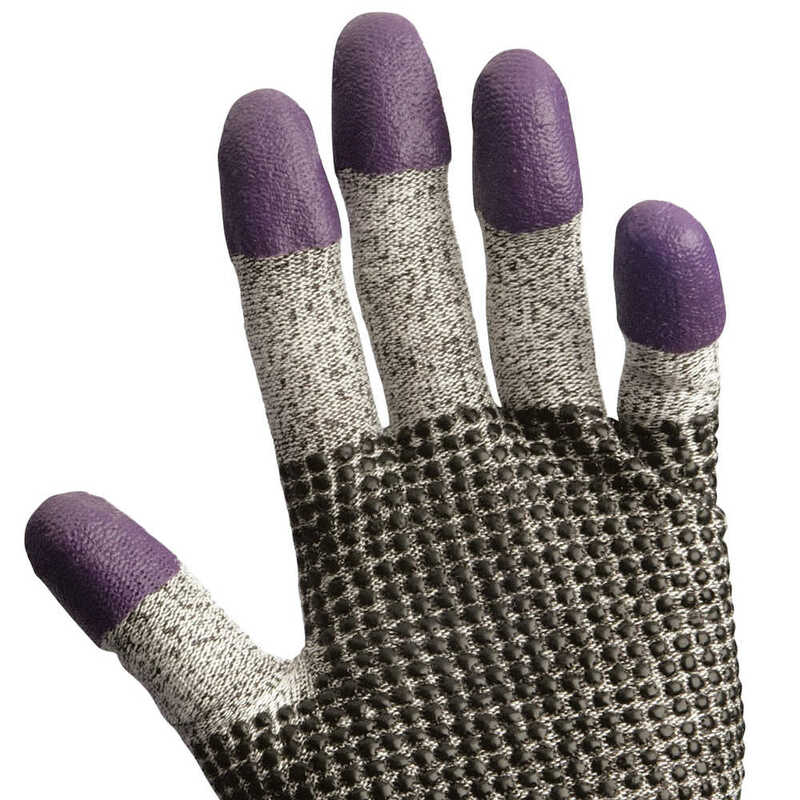 Help keep your team protected with Jackson Safety G60 Cut Resistant Purple Nitrile Gloves. 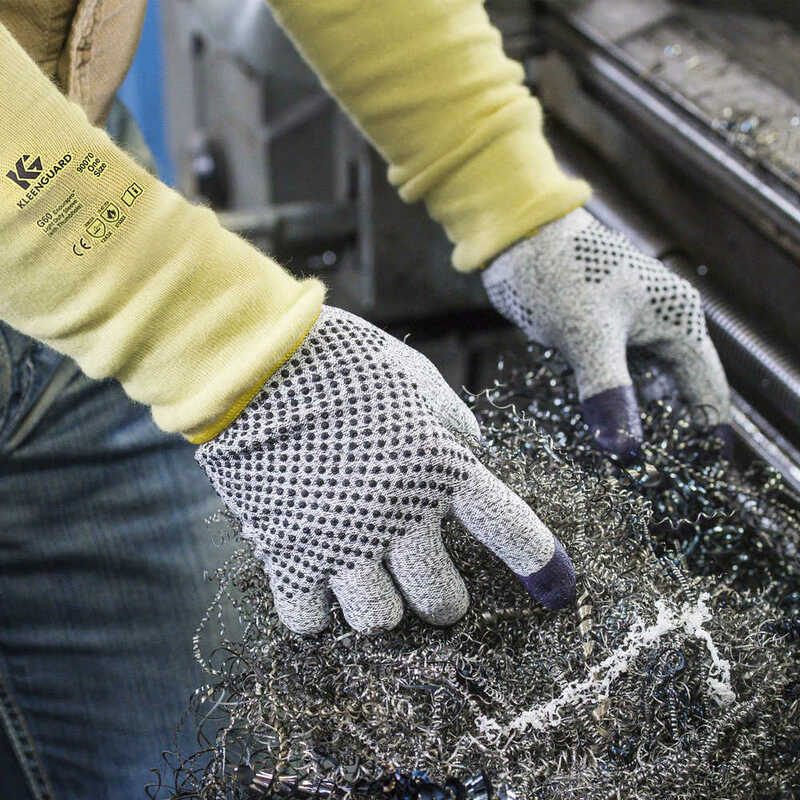 These top-selling protective gloves offer ANSI Level 3 / EN388 Level 3 Cut Resistance and CPPT = 1,150 grams, so you and your employees can use them with confidence. 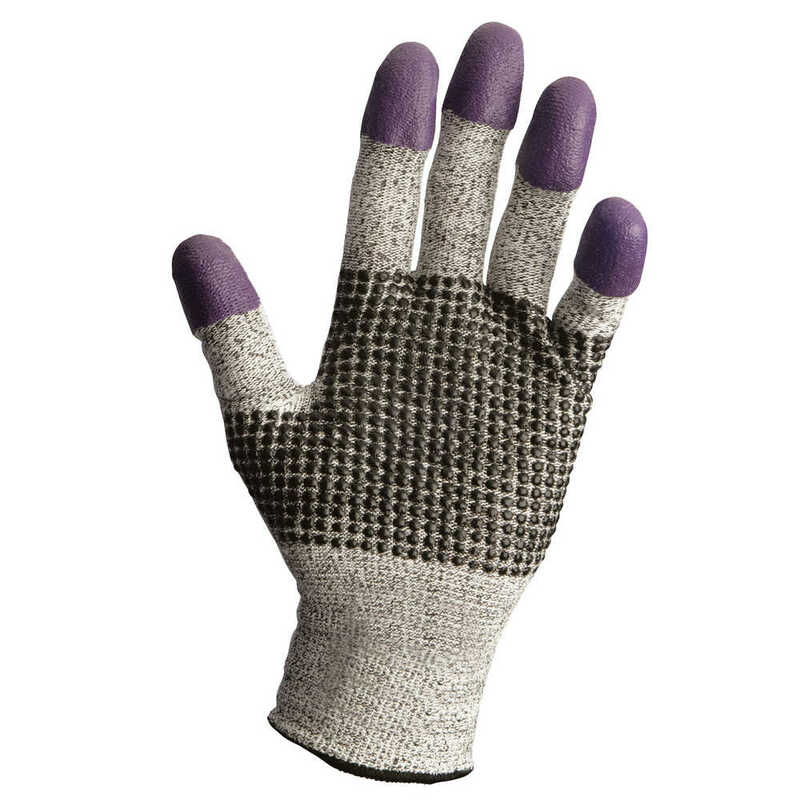 These ambidextrous purple nitrile gloves are made of ultra-high molecular weight polyethylene (UHMWPE) fiber, which enhances breathability and comfort. 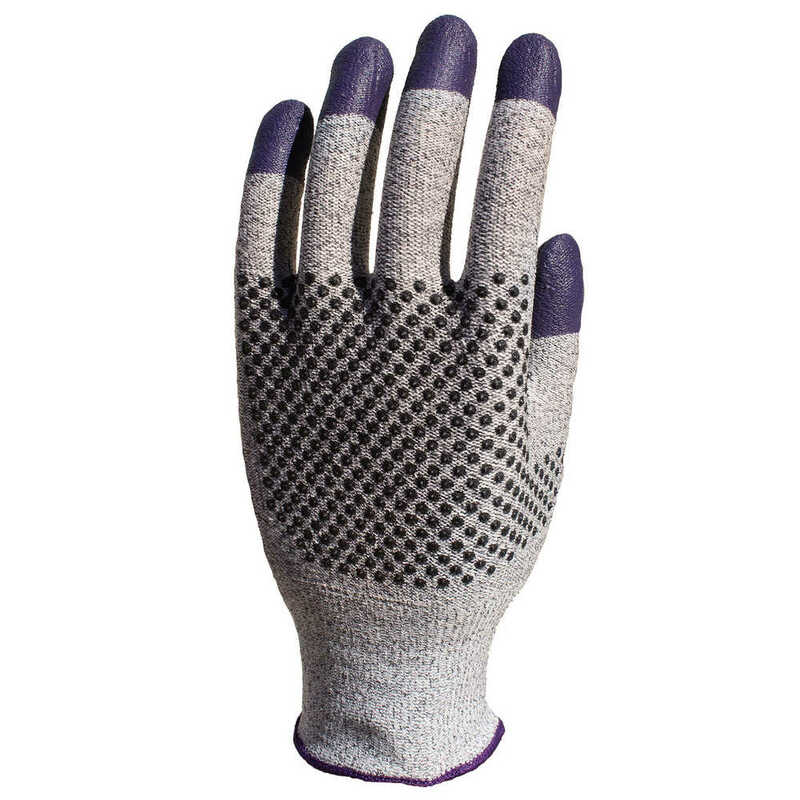 Plus, the dots on the palm enhance grip. 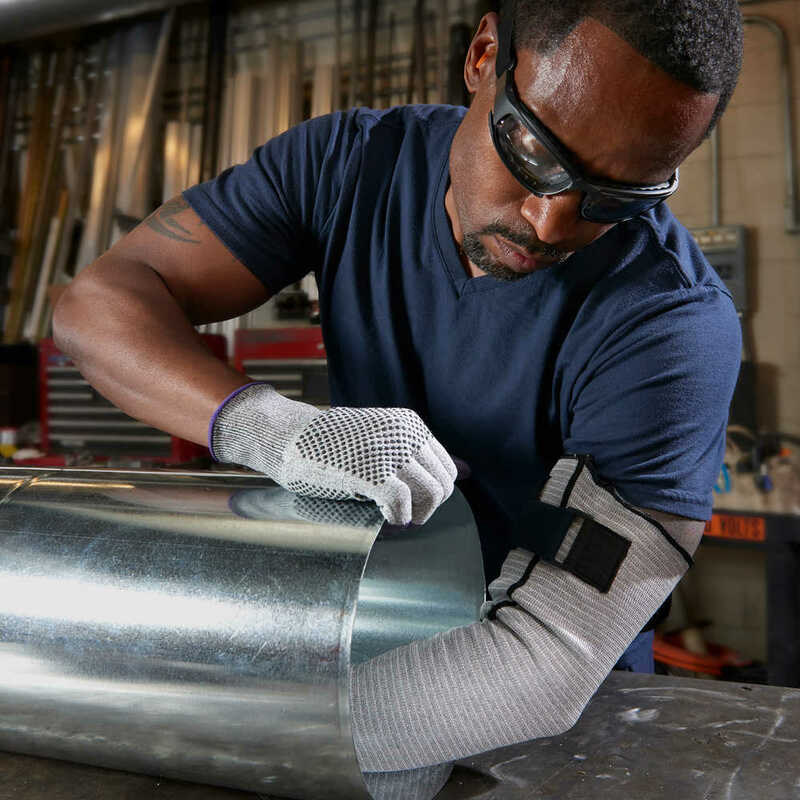 They deliver reliable protection for the task at hand, such as in vinyl siding installation, metal assembly, glass handling, small parts assembly, HVAC equipment handling, and work involving sheet metal. 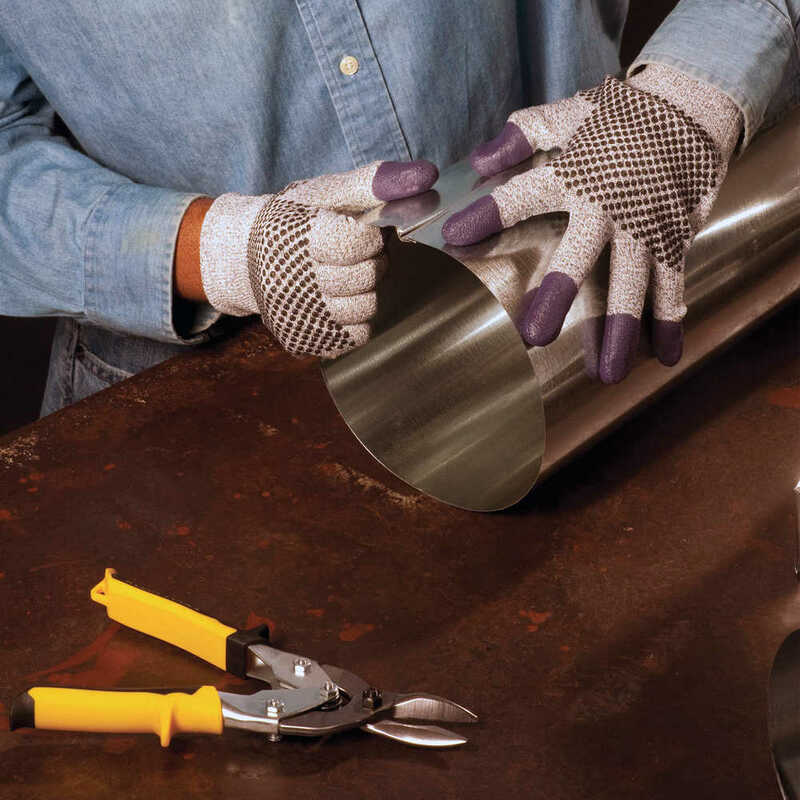 These cut resistant nitrile gloves are designed with ingenuity, so that you know you’re giving your employees the best tools with which to do their jobs.